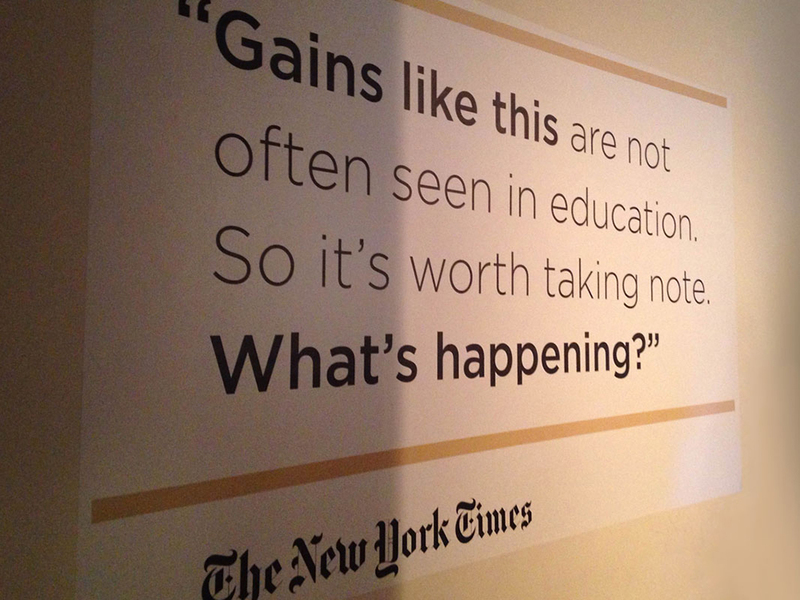 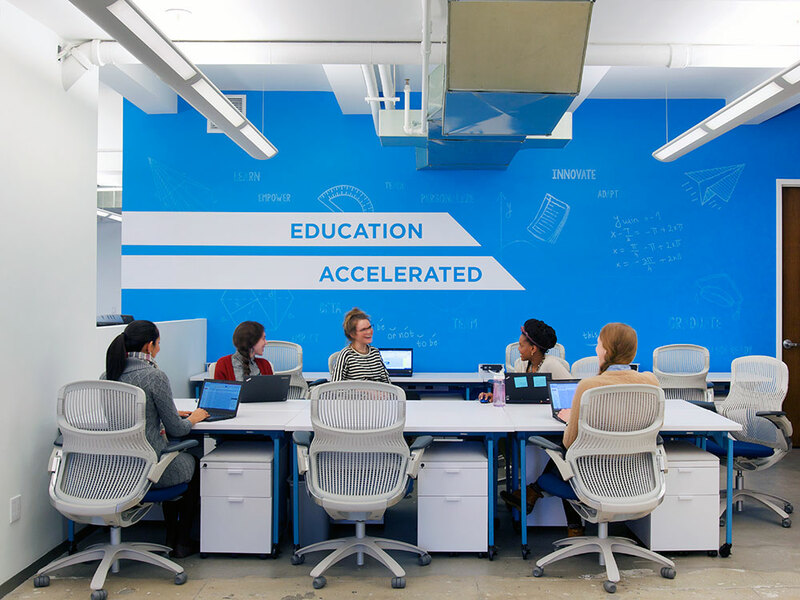 Blue Engine is a non-profit organization that partners with public schools serving low-income communities to increase academic rigor and prepare students for college. 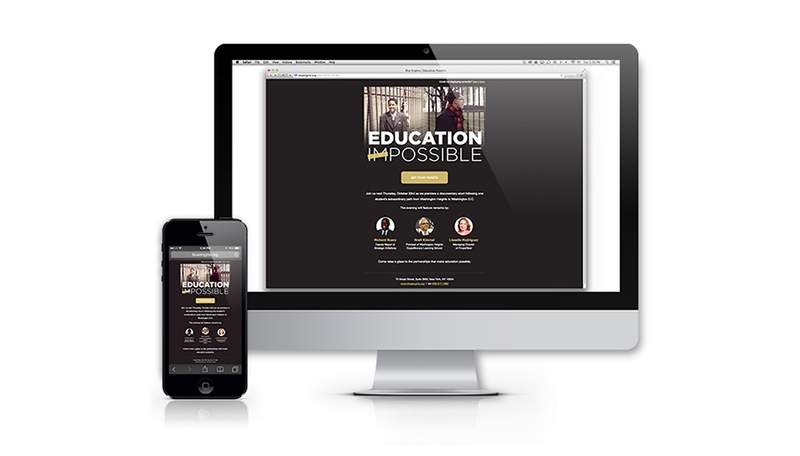 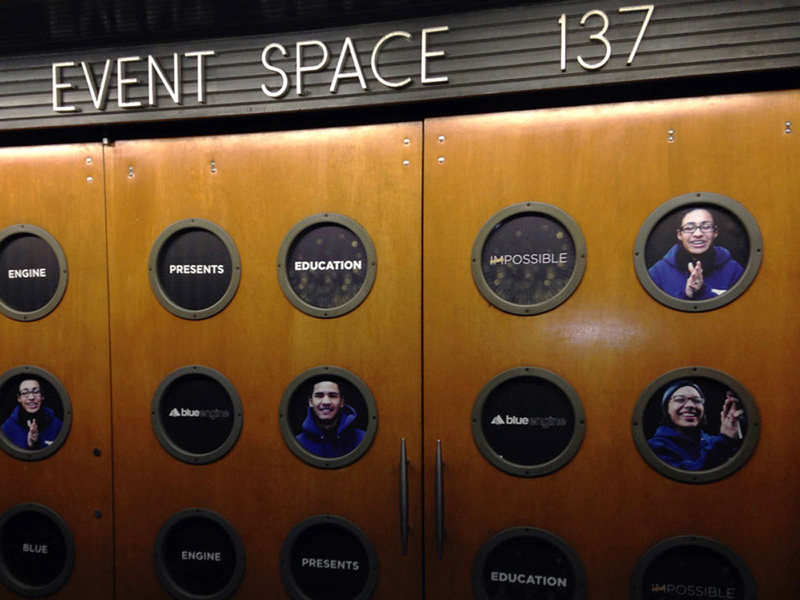 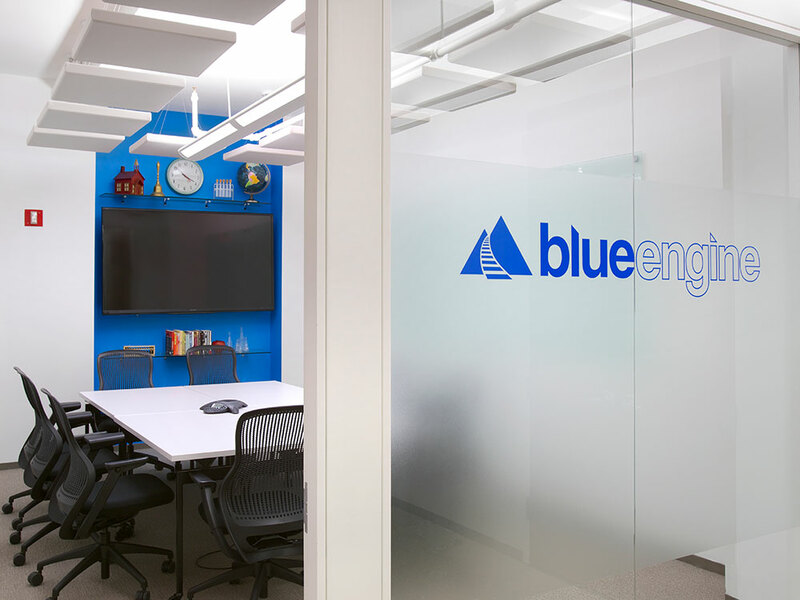 We have worked with Blue Engine on a range of programs and initiatives from the branding and messaging of fundraising initiatives and events through internal materials and environmental graphics to help bring their core values and mission to life. 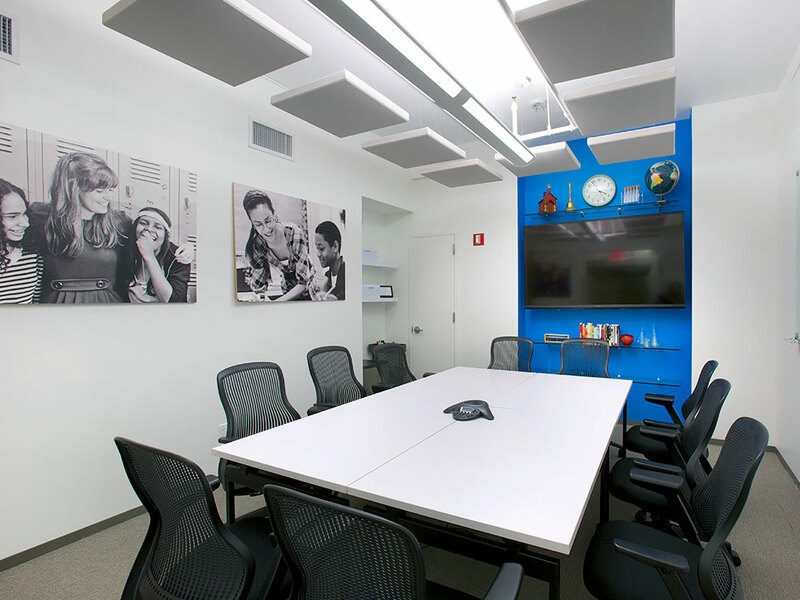 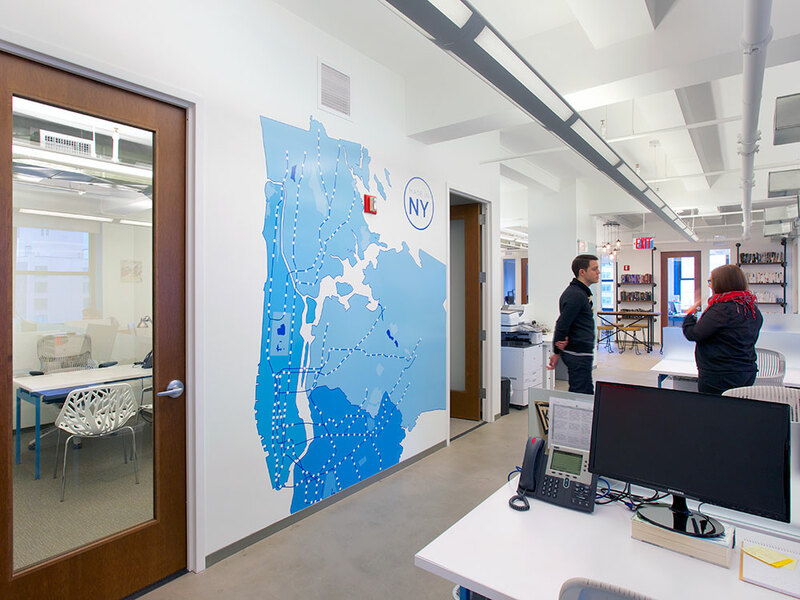 Blue Engine office interiors utilize pops of vibrant blue, hand drawn graphic elements and a life size map of New York City to create an inviting space that will spark innovative ideas and creative thinking. 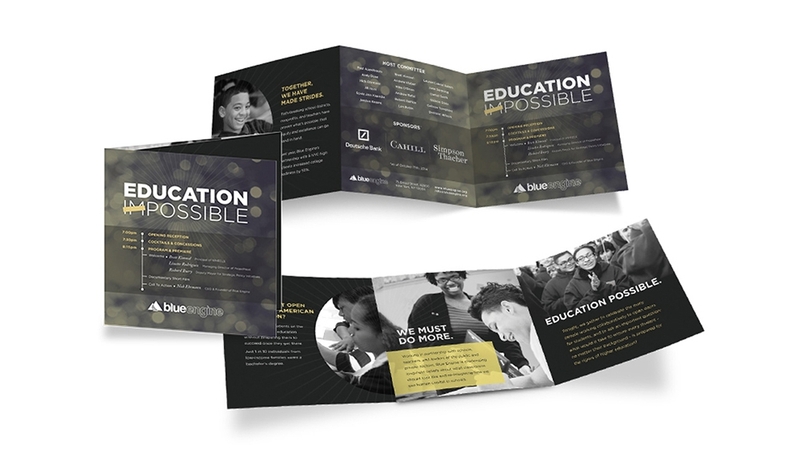 We created an elegant identity for Blue Engine’s fundraising event Education Possible that we carried through to their collateral materials, online ticketing page and event space interior signage. 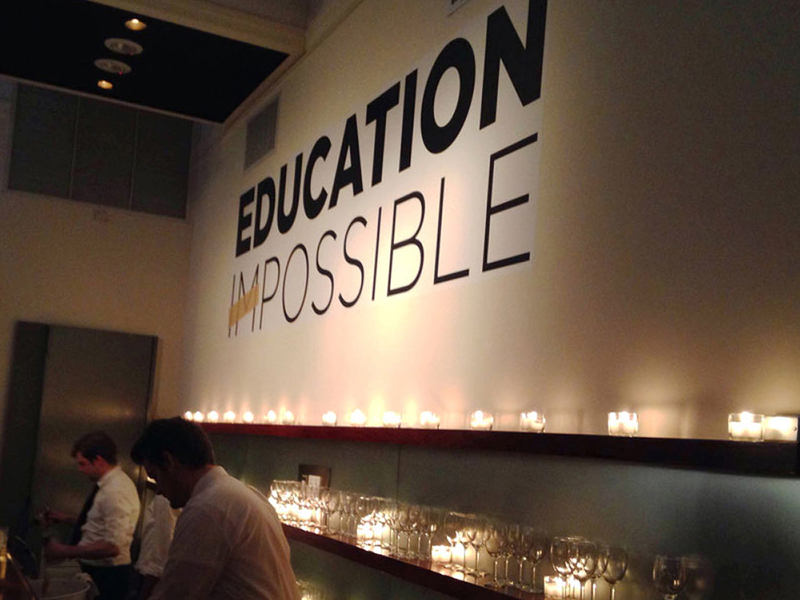 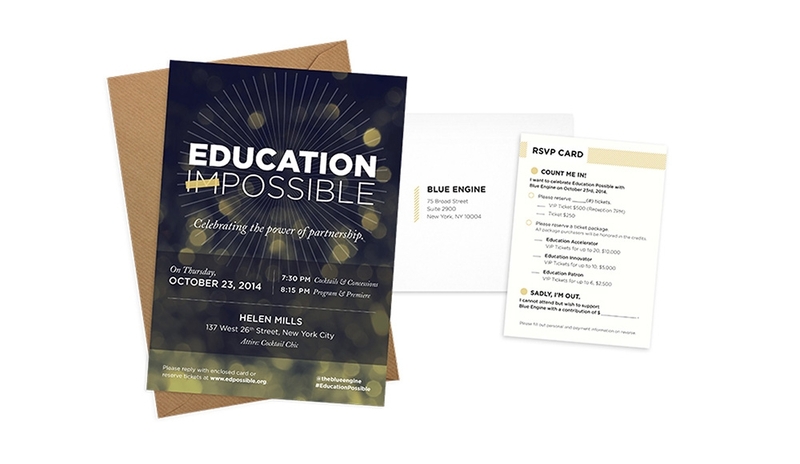 Blue Engine’s Education Possible fundraising event invitation printed using silk matte lamination and glossy spot UV for an elegant finish.